Peavey 6505+ Head - "21 Years in production and still melting faces"
Peavey 6505+ Head - "Modern metal dream amp!!" Peavey 6534+ Head - "Different voice to the 6505 Plus"
Peavey 6505 412 Slant - "Not a great cab"
Peavey 6505 Head - "The 6505+ simplified"
Peavey 6505+ Head - "Peavey 6505+... replacement eardrums not included." 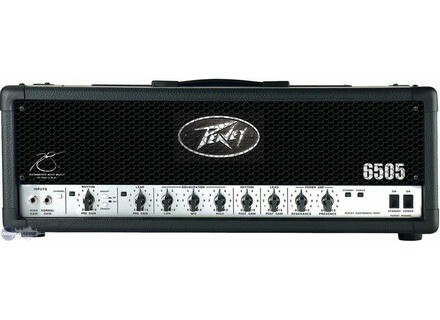 Peavey 6534+ Head - "Awesome!!!" Peavey 6505 Head - "Awesome!!!" Peavey 6505+ Head - "Monster Head"
Peavey 6505 412 Straight - "Preferably over the slant cabinet!"